A New Project for a New Course. Summer 1 quarter is my time off from teaching. But, as my esteemed colleague Peter Stern stated in his Turtle profile, “teaching is what life’s all about. Everyone’s on this great green globe to teach and learn and/or to learn and teach.” Or, perhaps to put it another way: You can take the boy out of the classroom, but you can’t take the classroom out of the boy. Sure, I could just sit on the couch and watch TV, but I really would rather be thinking of new methods, new ideas and new courses. Thus, most of my first four weeks off have found me elbow-deep in a book or two about a topic that has always intrigued me: Race. I am working on a course tentatively titled ‘Race and the History of Racism’. The structure of the course is slowly developing in my mind; soon I hope to start transferring my thoughts to electronic documents. I want to share with you, dear readers, an idea I have for the course. By sharing this, I hope to get some feedback, and hold my feet to the proverbial deadline fire. I would like to implement the below idea by the time I return to RMU in July. Now, let me explain…. When dealing with the topic of race in America, it is often difficult to move beyond the notion of racial absolutism. The idea that there are 3 or 4, or 5 or 6 ‘races’ that encapsulates all humans. Such racial absolutism is central to American culture and history. It is, however, a fallacy and to disprove it we must shatter American notions of racial categories. But, how to do this? There are many readings, essays or monographs that could do the trick. But as we all know, a picture is worth a thousand words. I want to SHOW the cliched rainbow of humanity in all its diverse form to my students. Luckily, technology is here to help. During the last couple years, psychologists have utilized digital photography to ‘composite’ human faces into national average visages. By so doing, these scientists have muddied up any simplistic notions of racial identity. Of course, this idea of ‘average’ physical image is somewhat flawed. There can never truly be an ‘average national look’. Still, the attempts are incredibly suggestive when viewed together at one time since they illuminate how the world’s population physically blend imperceptibly over created state borderlines. Just glance at the 40 images below, and try not to see the shared humanity. The faces just blend from one to another. There is no definitive color line. But, there is a problem here. These photos are ordered alphabetically, not geographically. The psychologists miss an opportunity by ordering the pictures this way. Why not put them on a map so that we can really see the faces physically blend? Why not indeed? This is my goal! Edit each picture, and place them onto an interactive world map. 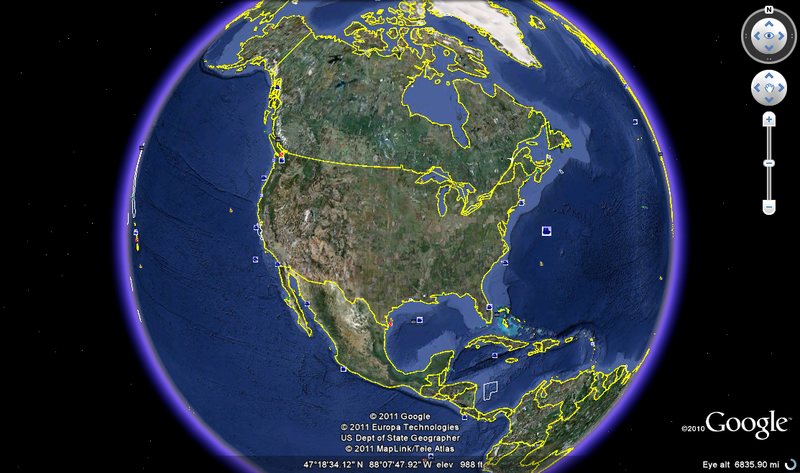 I am thinking of using Google Earth for this, since it is simple to add images to this fully immersive global map. Doing this will illuminate for my students the malleability of race; hopefully, this will lead them to question absolutist American racial concepts. I really think this has some promise. It may take awhile, but I have quite a few weeks off. I will give you all an update later on. Great visual learning tool here for your new “Racism” class, Mike. I’m looking forward to seeing the completion of this–your latest challenge. Well done!